I've highlighted a few projects, and also made some image galleries from different areas of my work, which you'll find links to at the bottom of the page. Feedback studios is a music school based in Bergen Norway. I had the pleasure to update their logo and create a new website for them using Squarespace. Feedback Studios logo revamp and new Squarespace-driven website. 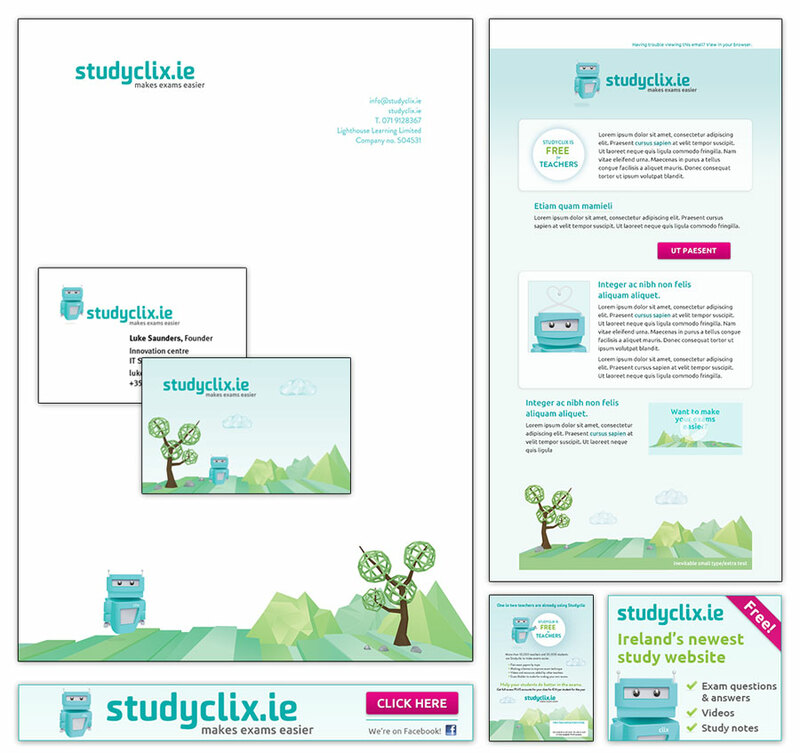 Studyclix is an innovative Irish company that has the goal of making exams easier for students doing, and teachers teaching, the junior and leaving cert exams. Some of the projects we have worked on together are: logo and Clix the robot mascot, the Studyclix website (which we are currently working on updating), app user interface design (in development), infographic, posters, various marketing materials, both printed and digital. BKK (Bergenshalvøens Kommunale Kraftselskap) is a Norwegian power company based in Bergen, Norway. I worked with and through Bouvet as a consultant to design their intranet. Tasks included designing a responsive site, and user interaction design. I have designed the travel app from Bouvet / Datagrafikk for several of the municipalities around Norway for both iOS and Android platforms, as well as creating a custom illustration for the Finnmark app. Villas-sur-Rive is a real-estate development built by LSR Group. I developed their advertising material including fulls-size newspaper ads and large formate banners, as well as their website. Browse through these image galleries to get an overview of these and other projects in various fields.